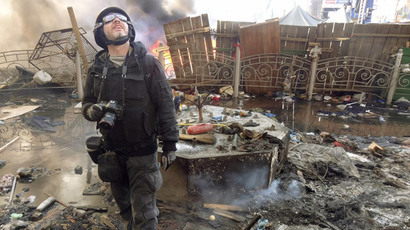 Photojournalists from US, German, Italian, South Korean and Russian outlets will be judging this year’s contest for photographers aged under 33 – that’s how old Andrei Stenin was when he was killed in eastern Ukraine in 2014. The top professionals who made it onto the jury for the 2019 competition include New York Times photographer, James Hill; head of Germany’s laif photo agency, Peter Bitzer; and Time magazine international photо editor, Alice Gabriner. Other judges include deputy department head at South Korea’s Yonhapnews agency,Cho Bo Hee; famous Colombian-American photographer, Juan Arredondo; Russian photographer for epa (European Pressphoto Agency), Sergei Ilnitsky; and Alberto Prina, the organizer of the Festival della Fotografia Etica photo contest in Italy. The contest named after the military photojournalist Andrei Stenin is organized every year by Rossiya Segodnya news agency. 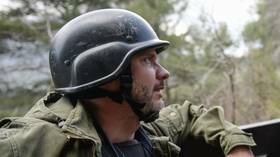 Stenin lost his life in a shelling by Kiev forces on August 6, 2014, while covering the conflict in eastern Ukraine. The contest is endorsed by UNESCO and the International Red Cross Committee (IRCC), as well as top international photo and media groups. “It’s important to remember those photographers, who have died in conflict zones and, for me, this contest is a fitting testimony to Andrei Stenin,” said James Hill of the New York Times. The contest aims to support young photographers, because their work is vital in the modern world, laif’s Peter Bitzer stated. Alice Gabriner of Time magazine said that she was “excited to see new ways of visual storytelling from the upcoming generation,” while being part of the jury. Young photographers from anywhere around the globe still have a whole month to submit their work for the 2019 competition via stenincontest.com. The deadline is February 28. Last year, the Grand Prix of the Andrei Stenin Contest was won by Russia’s Alyona Kochetkova for the dramatic photo story of her fight against cancer. The first prizes in other categories went to photographers from Iraq, Iran, Italy, Israel and other countries.